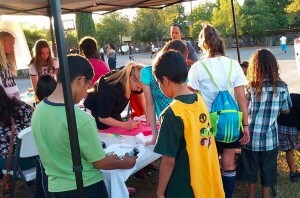 The Sacramento Summer Night Lights program is expanding their youth employment for the program’s 2015 season, encouraging youth age 18 and up to apply. Though fun and games are highlighted in the job description, the program is at root an effort to diminish crime in the Sacramento neighborhoods where it is most prevalent – Mack Road and Center Parkway. “When implemented correctly, the community grows and thrives. Violence and crime is driven down and the fabric of the community is rewoven.” More is on Access Sacramento. This entry was posted on April 20, 2015 by Editor in Access Sacramento, Print and tagged summer jobs, teen jobs and employment, Violence Prevention.